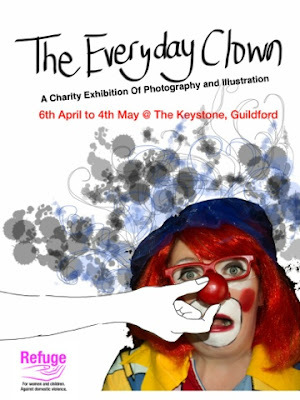 Creative Fox (COCO) will be working in partnership with Michael Remnant Media to produce a Charity Exhibition of Illustrations and Photography. 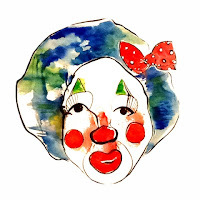 The artwork has been specially produced to coincide with Creative Fox's fundraising challenge ONE WEEK AS A CLOWN (From 20th to 27th April) for the amazing charity Refuge. The exhibition will debut the talents of local photographer Michael Remnant and his first ever clown photoshoot. His other work ranges from landscape to detailed portrait with an emerging style and effortless feel. He was chosen for his extensive work with performance and the relaxed, informal shoot was a great opportunity for the two creatives to work together. The illustrations featured in this exhibition are a new direction for artist Creative Fox. Her usual jovial whimsical air has turned a little melancholic to embrace the subject of Domestic Abuse. 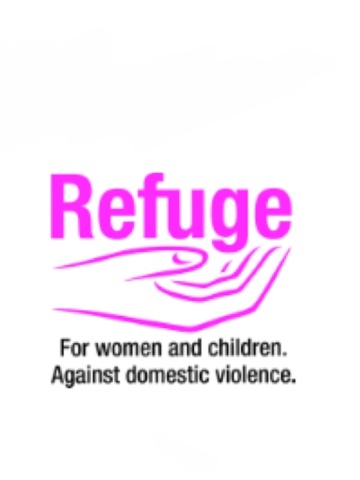 Her idea to promote Refuge's most recent message 'Don't cover it up' , as advertised by make up blogger Lauren Luke, is displayed with simple elegant line drawings of beautifully posed people, each with their clown face on, 'show' face to the world and a plastered smile for the audience. 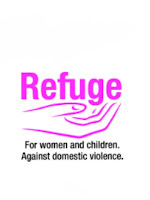 Creative Fox and Michael Remnant Media both hope for the exhibition to provide a leap pad for the discussion of Domestic Abuse by the viewers of the images and hope that this event ,alongside the week long clownathon by Creative Fox, can fundraise handsomely for Refuge.